→10 Reasons Why You Should Own An Online Business? 10 Reasons Why You Should Own An Online Business? A few years ago, I was the only one in my circle who ventured into online business. But today, half my friends are making money online. This only proves how popular the Internet has become and how more and more people have decided to quit their 9 to 5 job and work online instead. In my case, this was the only reason I made the big leap to think about of corporate life. I didn’t want to be watched like a hawk 8 hours a day or have someone calling me in the middle of my holiday for some urgent assignment I need to do. I’m not saying running an online business is less stressful than a regular job but at least I know I’m well compensated for all my hard work and it certainly beats having a nosy boss! Starting your own business lets you do the things that you’ve always wanted to do. You want to travel the world and write about it? Be a writer or start a travel blog and monetize it. Do you want to paint? Create a website and sell your paintings online. Any ideas in your mind, you said it. How much does it cost to open a brick and mortar retail store these days? How about a restaurant or a mom and pop store? It will cost tens of thousands of dollars at least. But starting a business online doesn’t cost much and you can advertise to your target audience using social media. This is the power of internet nowadays. Perhaps the only things you’ll need to spend for at the beginning is a website, domain, hosting and a logo. That will cost you around $100, perhaps lower? I have a friend who runs a business online as he travels around the world. Right now, he is in Bali, Indonesia having the time of his life and still making money. How cool is that? As long as there’s an internet connection. You want to go to the gym in the morning and play soccer at the park with your son after his class? No problem. When you work online, you can choose your own schedule, or change it as needed. As long as you have the discipline to finish your tasks on time then it’s never going to be an issue. With a brick and mortar business, you have to pay rent, employ a few people, pay for utilities, and many others. But when you run a business online, you don’t have to rent space or hire employees. You’ll make more profit due to your lower operating expenses. If you’re planning to set up an online store, then now is the best time to do it. That’s because people have more open to buying things online. There are now security measures in place to help keep online shoppers safe from hackers. In addition, with mobile browsing, people can shop for items or pay for services on the go using their mobile devices. Most people nowadays see online shopping as the convenient option. Don’t you agree? With single clicks less than few minutes the goods you bought will arrive your doorstep in a few days without stepping out from your home. #8 Anyone can do it! In the past, people needed to have business degrees to start managing their own businesses. They also needed a large capital. But nowadays, anyone can start a business online. Yes, ANYONE! If you have the drive and you’re willing to put in a lot of effort to this endeavor, then no one can stop you from doing it. There are many kinds of businesses you can run online. For example, you can open an online store, or offer personal coaching if you have a special set of skill or knowledge that many people need today. You can also run a blog and have passive income through affiliate marketing or PPC. Affiliate marketing is very big nowadays and some Internet marketers are earning thousands of dollars a month from affiliate offers. 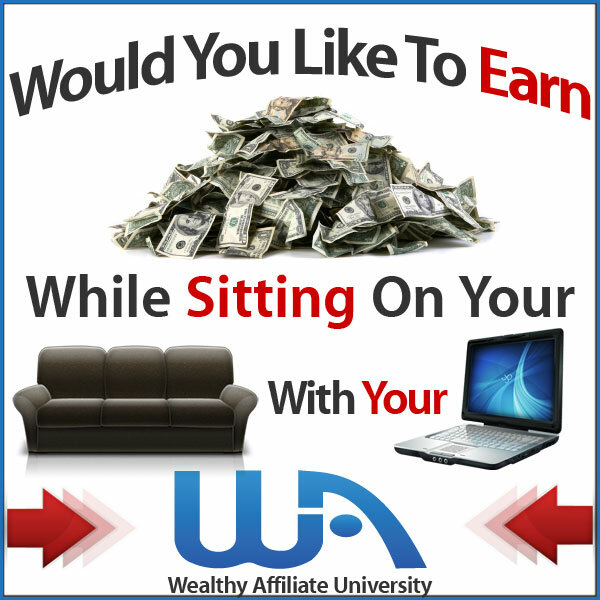 Check out Wealthy Affiliate, which is one of the most reputable networks with over a million products for you to choose from. Basically, you will be promoting their products on your website and for every sale that was referred by your site, you get a commission. In offices, you have to jump through so many hoops to please your bosses and clients, and usually, that means agreeing to things that aren’t exactly what you believe in. But when you run your own online business, you can forget all of that. You can work in your pajamas and no one would care. Besides, working for yourself means that whatever amount of work you put into your business will pay off by putting more money in your bank account…not in someone else’s bank account. As long as you discipline enough, you are able to create your own Online Business without a doubt. Keep your website design professional and simple. Be quick to respond to your visitors. Always take the time to engage your visitors by replying to their comments or emails in a friendly way. Give them a reason to come back. Perhaps a freebie, a discount, or simply just by providing them with great content. Write for your readers. Do not fill your website with spammy content and too many keywords. This will discourage people from visiting your site. Stick with ethical SEO methods.Have a mailing list. It’s one of the most effective marketing methods today. Treat your customers well. Repeat customers are going to be one of the pillars of your success. What I like about online business is that I am helping others while building up my business. As you can see I’m creating this blog helping people to find a way into a Genuine program that I’m using. In the same time, they also staying away from those online scams and saving their hard-earned money. Is a Win-win situation right? You might hear from others that succeeding Online is a fool or scams. Yes, I do agree there are many scams out there and keep appearing every day that cons peoples. I get into those scams myself too. In fact, I lose more money than you. So if you are one of those or not that reading this article, I can assure you if you seriously wanted venture in online business Read this instead. Not only this program is 100% legitimate but also provided powerful training that brings value to your business. Half of the businesses fail during the first year, even Internet-based businesses. But by making smart choices and working hard to achieve your objectives, you have as much chance of success as the next person. So, figure out what kind of business you want to do and do due diligence before you get started. Now It’s your turn. What’s your reason that not stated in above list? Feel free to share with me. Opinion Outpost Reviews: Can This Opportunity Replace Your 9-5 Job? How to Make Money by Helping Others?